Regular check-ups and Hygienist appointments can play a vital role in helping you prevent tooth, mouth and breathe problems. A Hygienist can see you to provide Oral Hygiene Advice and to remove stains, bacteria deposits and other debris. In relation to gums, the Hygienist can advise you on the progression of Gum Disease, but more advanced conditions need to be assessed by a Dentist, and the Hygienist is then able to continue treatment under the prescription of the Dentist. Dental Hygienists cannot diagnose or give the prognosis (the likely outcome) of diseases such as decaying and broken teeth, or prescribe antibiotics, painkillers or any other drugs to alleviate symptoms. 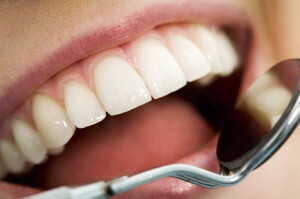 Visits to the Hygienist are therefore not a substitute for full dental examinations by a Dentist and if the Hygienist advises you to see a Dentist, it is because they feel that it is in the interest of your health, it is outside the scope of what they are allowed to do, or that are uncertain about treating you without further advice. There are very rare circumstances when a Hygienist cannot start treatment, and before they are prepared to continue, insist that a Dentist assesses you first. These may relate to your Medical History and general health, or the condition of your mouth, which gives them concern.